THOMASVILLE, GA (WALB) - Thursday, staff at Archbold Hospital in Thomasville put up signs and wore stickers in honor of Doctors Day. Signs were placed throughout the hospital. 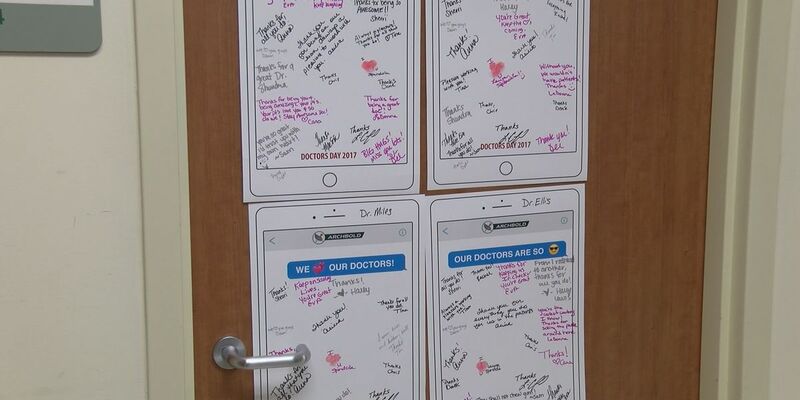 Employees wrote notes on the signs to thank physicians and doctors for all that they do. Hospital CEO Perry Mustian said that it's always good to let the Doctors know how appreciated they are. "The care they provide to patients, the services they provide to our organization, the difference they make in our community.. It really is special so it's a great time for us to come together with a big thank you," said Mustian. Mustian said they try to do things throughout the year to continue the appreciation as well.